The C4 from 911 Signal uses Reflex optics. 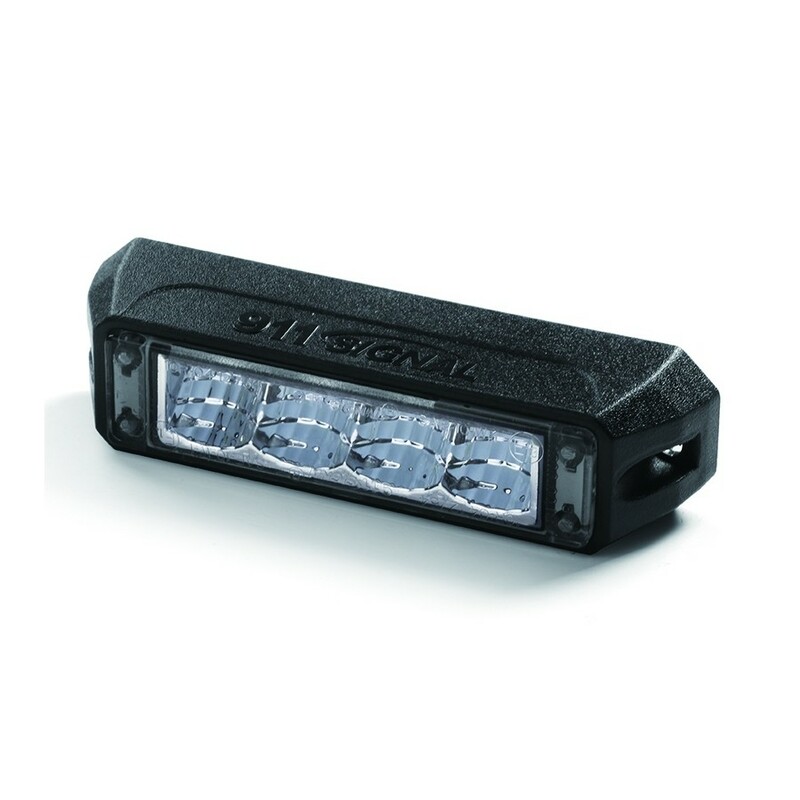 Reflex technology is ideal in LED emergency vehicle lights because it maximizes light. 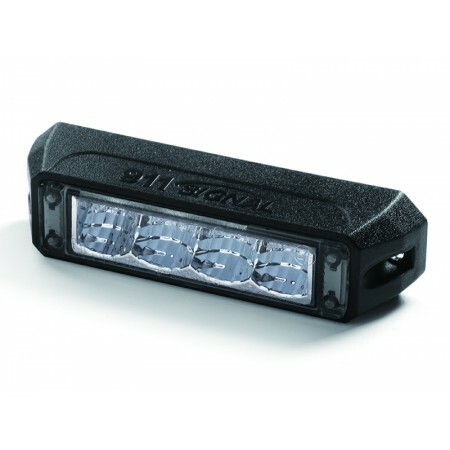 This makes the reflectors ideal as they project light from a variety of great angles and for extremely long distances. With four amazing 3-watt LEDs produce 12-watts of light output through the clear lenses. *Tiny size, wide angle lens with aluminium base. *High output Solaris LED reflector technology. *Meets and exceeds ECE R65, SAE, ECE R10.